Recently opened at the Sarjeant’s object-based gallery above the i-SITE, Whenua Hou: New Māori Ceramics showcases a survey of current uku (clay) practice. The exhibition, toured by Tauranga Art Gallery, Objectspace and supported by First Sovereign Trust Ltd., features the diverse work of eight Māori artists who explore a range of responses to the physical and conceptual properties of this very tactile art form. Assistant Curator Jessica Kidd interviewed Karl Chitham, Director of Tauranga Art Gallery and exhibition co-curator, about his work on the show. The ceramics included in this exhibition reference Kaupapa Māori, could you describe what this meant to you as co-curator of the exhibition? One of the exciting outcomes of this project for both of us (Kim Paton co-curator) was to get a sense of how similar or different each artist’s approach was to their individual practices. A common thread through most of the work was a commitment to a Māori kaupapa, either through the embodiment of the process, the approach to materials or in the use of Māori themes and subjects. How do you find symbolic forms used in more traditional Māori art forms (carving, weaving) have evolved into current uku practice? Many of the artists in this exhibition have referenced other customary art forms in their practice. For instance Stevei Houkamau has a diverse practice and has been keen to incorporate this into her uku. She incorporates motifs and pattern that derive from both tā moko (tattoo) and whakairo rākau (wood carving) and has a very tactile approach where she carves into the clay. Dan Couper also references carving traditions in his work. He compares his hand-built torso forms to the figures represented in tekoteko and pou, he also references classical Greek and Roman sculptural traditions. 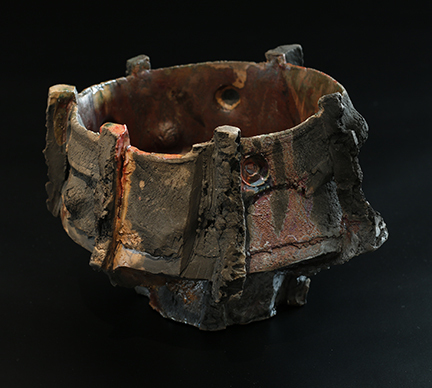 This exhibition features a diverse array of materials and techniques, what are your thoughts on the way this art form continues to develop? This exhibition does not include all of the Māori makers working with uku, it is a survey or cross-section of a broad range of practice by a really diverse group of artists. The motivations and backgrounds of each artist in the exhibition has driven them to create works that have really unique and sometimes quite complex stories. For instance Tracey Keith grew up in the Waikato production town of Tokoroa. The local mill impacted significantly on the way of life of everyone in the town, which he has tried to capture in his collection of vessels. He talks about the way it seeped into the earth which he has referenced as gritty, scorched constructions that look like discarded machine. This conceptual approach, driven more by ideas than by the materials, is something that we think is becoming more prevalent in Māori uku. How does current uku practice in New Zealand, and the work of the 8 artists included, fit into the global ceramic context? I think there is much more emphasise and interest currently in contemporary indigenous practice which hopefully will allow Māori uku to find a wider audience on the global art scene. Most of the artists in Whenua Hou already have international networks and have participated in festivals and exhibition projects off-shore so I don’t think we are at all limited by our location. Any other thoughts on curating and touring the show? This exhibition is only a snapshot and I mentioned before this was a selected survey of Māori uku practice. There are many other amazing artists who we were not able to feature in the exhibition. 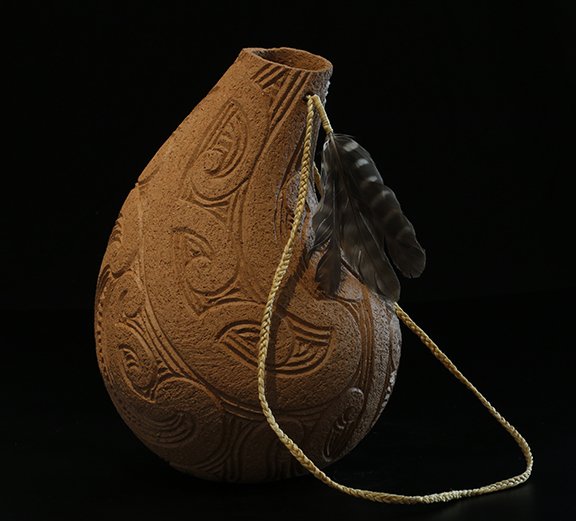 If anyone is interested in discovering more, contact Ngā Kaihanga Uku, the Māori clayworkers association.